Damion started out studying Interior Design before continuing on to complete his formal Architectural training. This gave him a great understanding of both the in and outside of building and homes. His strengths lie in his ability to listen to the client, work with the constraints of the site and make a contribution to the wider area and community. His solution to problem design is to create plans that are elegant in form and detail, informed by the client’s ambitions for their project and respond the surrounding. 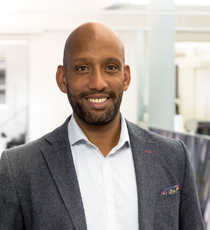 Damion is currently filming two series for Channel4 – the home of property.